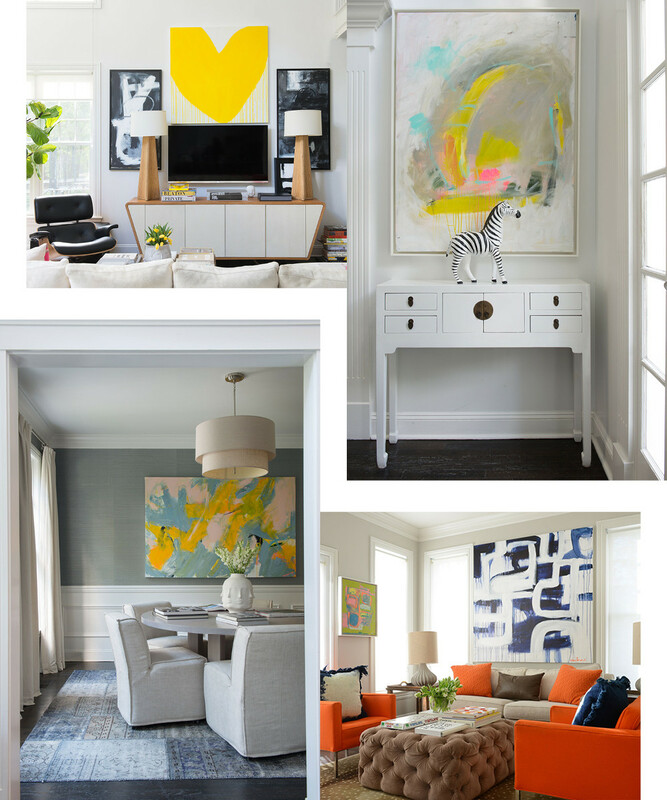 Painter Kerri Rosenthal eschews the vibrant hues of her work in favor of a more subdued palette in her intimate family home. A white-and-beige living room in the Weston, Connecticut, home of artist Kerri Rosenthal. An oak-and-leather console by Julian Chichester adds warmth in the living room. All of the paintings in Rosenthal's home are made by the artist herself. The orange vintage chairs were an impulse buy. "The combination of the colors is very inspiring to me," says Rosenthal. Grasscloth wallpaper and a patchwork rug lends texture in the dining room. In fact, it was the bright white walls and double-height ceilings that first drew her to the space 14 years ago, paired with the kind of light that only an artist can truly appreciate. “It’s that exposure that dilates your eyes and makes you happy,” says Rosenthal. “Even when it’s dreary, the house lights up without any bulbs.” At the time, Rosenthal was living in New York with her husband, David, and had no intention of moving for at least another two years. But fate intervened when a broker ended a whim of a house-hunting trip at the quirky home with a London townhouse feel. “I felt this emotional connection to the house immediately," she says. “I told David, ‘I need to live here,’” says Rosenthal. With the house move-in ready, all that was left to do was infuse the intimate space with a little personality. "I don't want every room to be the same," the artist says of her decision to paint a formal living room a glossy jet black. "I love books," says Rosenthal. 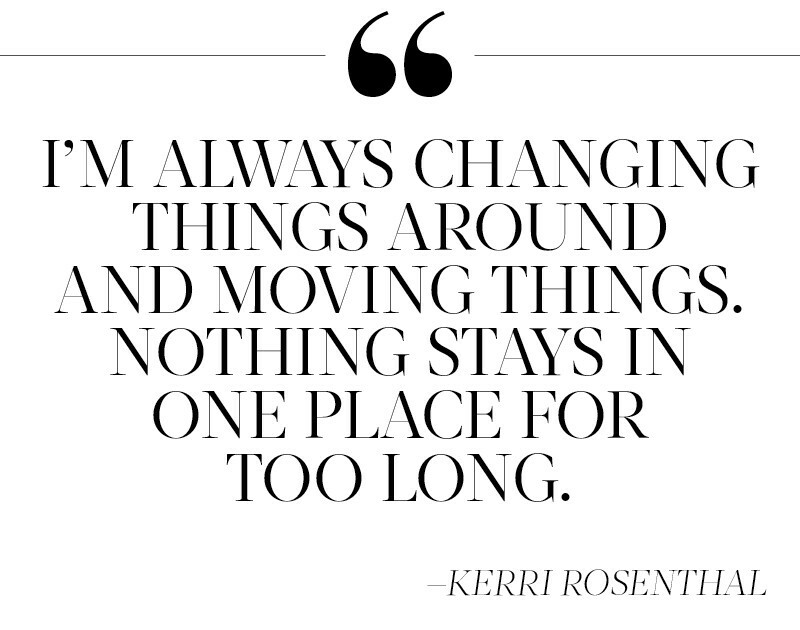 "I like to decorate with them wherever I can." She applied a navy, mint, and magenta color palette in her daughter Emma's room. Rosenthal converted an unfinished attic into a home studio where she paints much of her work. For Rosenthal, that meant creating a blank canvas that would allow a rotating collection of her work to shine in each room of the house. “My art is very colorful,” says Rosenthal. 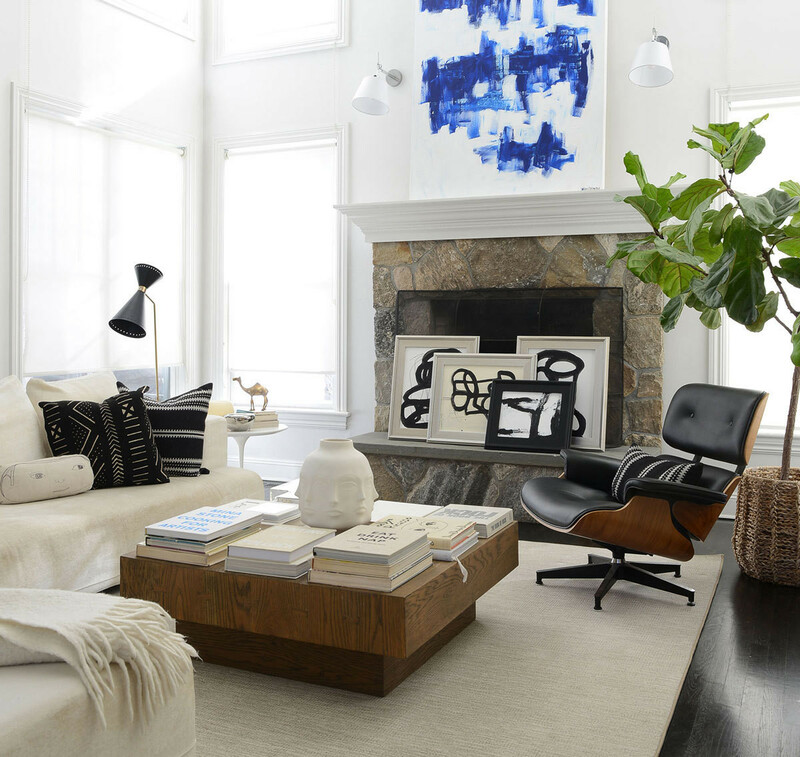 “The color needs to be in the art, not the furnishings.” So she opted for clean lines and various shades of gray, beige, and white throughout the home, from the linen Ligne Roset sofa in her living room to the Milo Baughman chairs in the library. After six years of living in the space came more significant renovations: she revamped all of the bathrooms, added a pool in the backyard, and converted an unfinished attic into a home studio. And it was only three years ago that Rosenthal performed what D2 Interieurs calls “kitchen Botox” to her cooking space. She dropped the soffits to sit flush with the cabinetry, added a marble waterfall island, and created a boxed stove hood. Rattan stools and a wood coffee bar add warmth to the modern embellishments. "It's all about unusual color combos for me," says Rosenthal of her romantic guest room. "I design rooms just like I paint my paintings." "I needed my room to be some what neutral so I can reset at night and wake up with visions of color to start my day," says Rosenthal. 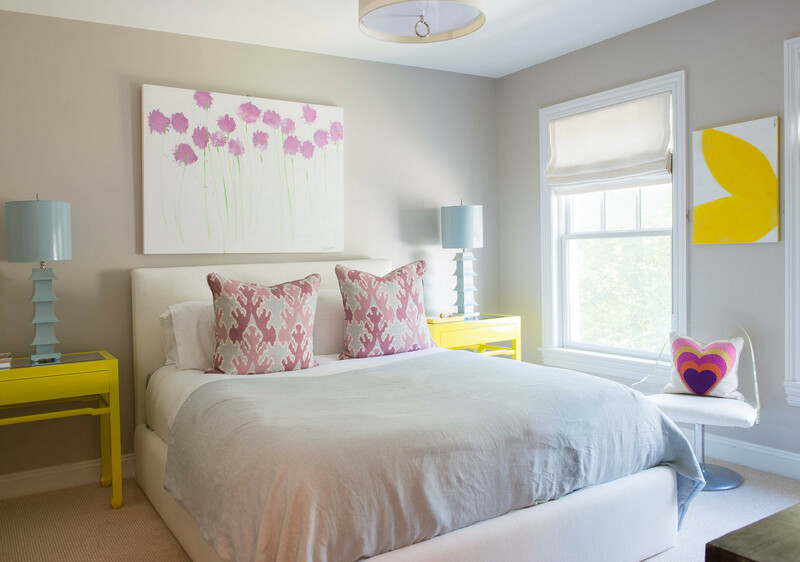 The bed was custom-made by D2 Interieurs, the benches were purchased at Dovecote, in Westport, Connecticut, and the nightstands are by Studio A.